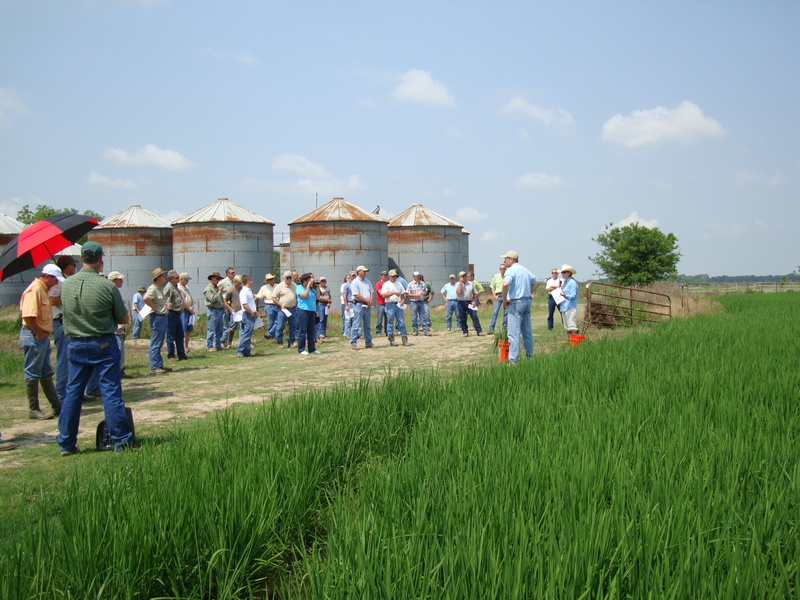 I’ll be speaking at the Vermilion Rice Field Day on Tuesday, July 5, 2011. Here is the tentative agenda. I hope to see you at the field day. Also, as a reminder, the Rice Station field day will be held on Thursday, June 30, 2011. Just past Hwy 711 and Burnell Rd intersection on East Side of Hwy. I know that quite a few of the rice consultants in Louisiana now have iPads that they are carrying around with them in the field. The utility of this tool can be enhanced by downloading apps for a number of uses. AgCenter faculty are currently developing a mobile tool called “RiceScout” that should speed up the process of rice in-field diagnostics. The LSU AgCenter Southeastern Region Director, Dr. Bobby Fletcher, recently sent me a link to an iPhone app search tool. This tool was developed by the University of Arkansas as an aid in the search for agriculturally related apps. You can find a link to the tool here: http://www.uaex.edu/news/april2011/0408AppSearch.htm If you try out this tool, please let me know if it is useful. Stuart Gauthier, LSU AgCenter County Agent in Vermilion Parish, recently announced a Vermilion Rice Growers meeting and verification field tour with Dr. Johnny Saichuk. I plan to talk about rice insect management and address any questions from producers. All are welcome to attend. Please contact Stuart at sgauthier@agcenter.lsu.edu if you plan to attend the meeting. The group will gather at Suire’s Grocery Store (13923 La Highway 35, Kaplan, LA 70548) at 7 am on Tuesday, April 26, 2011. Following a brief Vermilion Rice Growers Meeting, we will travel to Josh Newman’s Verification field (departing around 8 am). UPDATE: Additional information about the field day (including an online presentation of the field tour and speaker session) is available at www.lsuagcenter.com/ricefielddayinfo. The forecast calls for a chance of rain in the Crowley area tomorrow morning. In the case of rain, all field day activities will be held in the poster pavilion/drier area. Field tour speakers will make their presentations inside the drier beginning at 8:30 a.m. All other activities will be as scheduled. This is a busy time of year for field meetings. Field days and workshops are a great opportunity to see research and extension programs conducted both at the research stations and on cooperator farms. I hope to see many of you at these upcoming events. June 30. Hundley Master Farmer Field Day/Ricetec Field Day, Mowata La., 5:00 PM. This field day will report the results of a small plot evaluation conducted by RiceTec. This location evaluated varieties and also included a rice water weevil insecticide rate test. My weevil crew gathered samples from the small plots 4 weeks post flood. The results of the test will be presented. Attendance at this field day will also count as Phase II and Continuing Education for producers wanting to get credit in the Master Farmer Program. For more information, please contact Cullen Minter at 336-499-6489. July 1. 101st Annual Rice Research Station Field Day. Rice Reseach Station, Crowley, La. Beginning at 7:30 am. 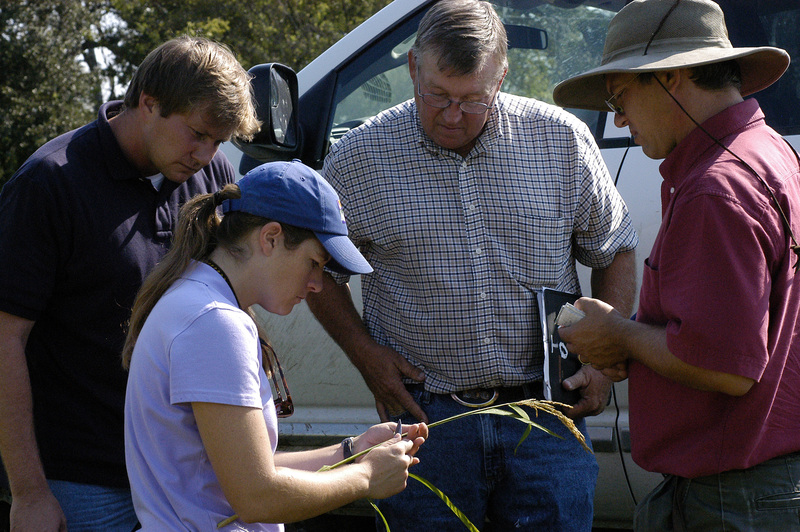 The LSU AgCenter Rice Research Station Rice Field Day will be held on Thursday, July 1, 2010 at the station. The activities will begin at 7:30 a.m. with field tours of research projects, with the last tour truck leaving no later than 9:15 a.m. Mike Stout and I will give an update on the Entomology Research and Extension Programs. There will be a poster session under the equipment shed on the west side of the drier. The poster session will last from 7:30 to 10:30. During this time researchers and Extension specialists will be discussing and explaining their research programs, the methods used and the results they have attained thus far. Much of the field day program will focus on historical aspects of rice production technology developed through the years at the research facility. The main program will start at 10:45 a.m. in the drier facility with a lunch following. July 6. Vermilion Rice Field Tour. Gueydan and Klondike Area. Beginning at 3 pm. The Vermilion Parish rice tour will include discussions about rice water weevil management, rice varieties, weed control, rice diseases, fertilization, and economics. For directions and more information, please contact Stuart Gauthier at sgauthier@agcenter.lsu.edu. July 9. East Carrol Parish Rice School. School will be held in Madison Parish on the farm of Garrett Marsh, approximately 4 miles north of Tallulah on Hwy 65. Program will begin with registration at 7:15 am. Donna Lee and RL Frazier have coordinated an in-field rice school in Madison Parish. Speakers at the training will include Bill Williams (weed scientist), Johnny Saichuk (state rice specialist) and myself. We will discuss the latest Research and Extension rice information. For more information, please contact Donna Lee at drlee@agcenter.lsu.edu. July 14. Richland Parish Rice Field Day. Rayville, La. There will be a variety of speakers on the program. I will discuss the results of the rice water weevil demonstration and anything else we are observing in the field. Scouting for borers with Fred Cramer, a Vermilion Parish farmer, and County Agent Stuart Gauthier (Photo by Jarrod Normand). Is anybody starting to see borers in the field? They might start to come on as the crop approaches boot. We recommend that you begin scouting for borers at green ring and intensify scouting as plants get closer to or reach early boot stages. Look for feeding lesions on the inside surface of the leaf sheath. If you locate a feeding lesion, check for frass to ensure it is stem borer and not sheath blight damage. You should also scout for adults, egg masses or fresh feeding scars on the leaves. If you treated your rice with Dermacor X-100 you should have control of borers, but I would still monitor the field because we have limited borer efficacy data in Louisiana. If you plan to use a pyrethroid to control a borer infestation, it is necessary to apply the foliar treatment before the borer penetrates the stalk/stem. Once you start to see whiteheads in the field, it is too late to treat for borers.